Odyssey House Louisiana, situated in New Orleans, Louisiana, is a treatment center that provides outpatient care and counseling services to adults seeking treatment from substance abuse and mental health disorders. With a location in New York as well called “Odyssey House in New York”, the facility provides non-profit addiction treatment to individuals battling with addiction. The New York division was created as a drug-free alternative to opiate addiction. The location in Louisiana offers short-term residential treatment to individuals seeking inpatient treatment. Detox services are offered at the facility, and clients who complete this short-term program can continue to the residential treatment program if there is bed availability. The facility offers treatment to clients “18 years and older” seeking treatment. The treatment facility believes in treating clients as a whole and not just the disorder or addiction. Clients seeking an on-site intensive outpatient treatment can get adequate care here as well as, an outpatient program for adolescents. The average duration of a lengthened stay is 28 days, and all clients are required to attend both group and individual therapy. Treatment approach utilizes evidence-based modalities in therapy sessions. Clients seeking dual diagnosis will also find such here, as it is offered. Clients are encouraged to incorporate 12-step meetings to their treatment but it is not compulsory. Individual sessions and therapy frequency vary greatly based on the client’s unique needs, but group therapy holds throughout the day. Holistic therapies such as yoga and job assignments are offered to clients as well throughout the day. Other services offered to clients include vocational training, health education, case management, life training skills, parenting classes, housing placements, and many more. The facility also offers a program funded by the Substance Abuse and Mental Health Services Administration (SAMHSA) called the “Revive. Survive. Overdose Prevention”, which is a program originated to help alleviate and address the New Orleans opioid epidemic. This program helps spread awareness and train professionals through the overview of the epidemic, and the tools needed to help individuals in need. The staffs at the facility are complete with Certified Alcohol and Drug Counselors, licensed professional nurses, licensed alcohol and drug counselors, licensed professional counselors, and many more. Psychiatric and medical staffs are available on-site during the day and the professional nurses are available 24/7. The facility offers a 65-bed housing accommodation to clients, which are set up in a dorm-style manner, complete with shared rooms and bathrooms. Other amenities offered by the treatment facility include a computer lab, which is available on-site for clients to work on job placement materials and apply for jobs. Time spent in the computer lab is monitored and supervised by the staff. The facility currently prohibits the use of computers and personal cell phones at this time, but clients can use the facility phone in the evening hours. The facility allows for visitation privileges but it is allowed based on the treatment plan of the client, although, normal visitation periods are on the weekends. Therapy occurs during the day and at night; patients can have their free time until 10:30 pm, which is lights out. All meals are prepared by the kitchen staff and menus are designed by qualified nutritionists. Clients with dietary restrictions and allergies are taken into consideration as well. The organization offers a short-term residential treatment program to clients registered at the facility. The facility also offers different levels of educational programs to clients with substance abuse issues. Clients are moved to this treatment program after completion of a detox. Odyssey House Louisiana cost is not constant or set in stone, as it varies depending on the program. Clients with Medicare or Medicaid are required to submit the documentation on admission. Insurance documentation must be submitted as well, and clients with financial struggles can apply for the sliding scale payment policy. The facility asides from accepting adult men and women seeking treatment, they also offer treatment to postpartum women with children and pregnant women seeking treatment. The program helps these women with childcare, housing, parental, and life skills training. After completion of the residential program, clients can move to the intensive outpatient program. This program also offers housing to clients on-site. Overall, the treatment center offers short-term residential treatment to clients, who have completed their detox program. The facility incorporates evidence-based practices in its treatment as its focus is to treat the whole person, not just the disease or problem. Other services offered include health education, vocational training, case management, life skill training, and many more. 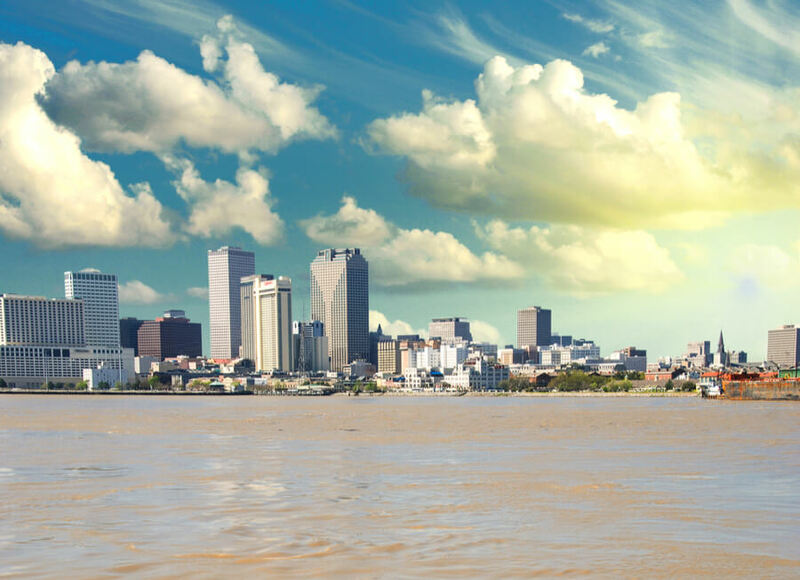 Clients seeking a facility that offers residential and outpatient addiction treatment within the New Orleans area will find Odyssey House Louisiana to be a good choice.